An unbiased, neutral, fact-based investigation that simply allows the science to do the talking on childhood vaccinations. 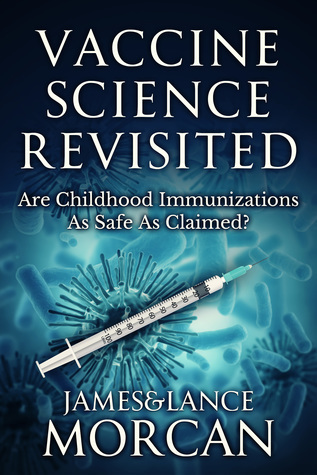 Written by father and son investigative journalism/research team Lance & James Morcan, with a foreword by medical laboratory scientist Elísabet Norris, VACCINE SCIENCE REVISITED is possibly the most well-referenced work yet to explore this contentious healthcare subject. By collaborating with a professional medical advisory team and utilizing investigative journalism methods, the Morcans have painstakingly sifted through the world’s best scientific research papers. They analyze the most reliable and untainted studies in order to uncover true and accurate data on vaccine safety. Title : Vaccine Science Revisited: Are Childhood Immunizations As Safe As Claimed? New Zealand-born actor/writer/producer James Morcan resides in Sydney, Australia. He has written two bestselling novels, performed in various international film productions and is a podcast host. His books have been translated into eight languages (Arabic, Italian, Spanish, Portuguese, Norwegian, French, Afrikaans, German).